German-born U. Gary Charlwood knew he wanted to be in the travel industry when he took a job as a part-time tour guide to pay for his university education in England. In the mid-1960s, he moved his young family to Canada and joined the airline industry as a passenger agent. By the time he reached his late twenties, Charlwood was already a Director of Consumer Affairs for CP Air. Faced with a choice to continue his upward career path in the airlines or follow his entrepreneurial instincts, Charlwood made the fateful decision to go into business for himself. Following those instincts paid off. Charlwood started out in real estate, selling an astounding 118 homes in 15 months, founding his first company and earning eight times in one year what he made in his airline career. 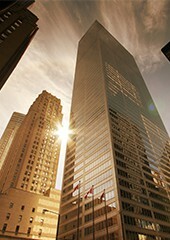 He invested his capital in the purchase of the Canadian master franchise rights to the CENTURY 21 Real Estate brand. Five years later, he founded his own international franchise brand - UNIGLOBE Travel International. Today, Charlwood is a global franchising success story, international speaker, business mentor and an inductee to both the International Franchise Association (IFA) and American Society of Travel Agents (ASTA) Halls of Fame. As Founder, Chairman and CEO of the family-owned Charlwood Pacific Group, Charlwood oversees franchising companies UNIGLOBE Travel International, CENTURY 21 Canada Real Estate, CENTUM Financial Group and Real Property Management from his world headquarters in Vancouver, Canada. UNIGLOBE is now in more than 50 countries on six continents and is continuing its growth into new markets in North America, South and Central America, Asia, Australia and New Zealand, the Middle East and Africa. 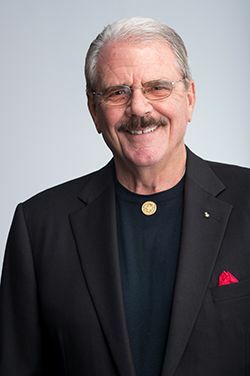 Charlwood was the first non-U.S. citizen to hold the position of IFA Chair and was Founding Chair of the ASTA Corporate Advisory Council which advocates for the travel industry. Fluent in English, German, Spanish and French, Charlwood has never lost his passion for travel. He often attends international events, engaging franchisees and budding entrepreneurs with his vision, wit, and wisdom. Says Charlwood, "One of the greatest benefits of being in the travel franchising industry is the opportunity to see the world and meet so many exceptional people."